The OW149-2 colonial couch was designed by Ole Wanscher in 1964. The design reflects Wanscher’s fascination of English furniture from the 18th century. 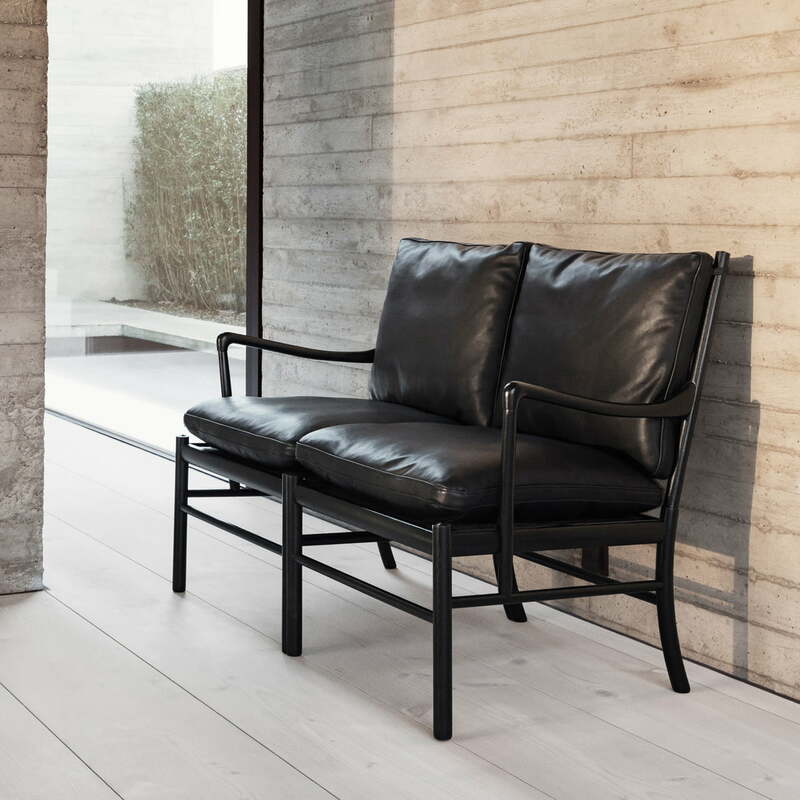 As part of the Colonial Series by Carl Hansen, the sofa presents itself with a delicate and yet sturdy wooden frame and a high-quality upholstery, which is available with different fabric and leather upholstery. Interweaved cotton straps serve as the basis of a slightly springy seat comfort that is complemented with comfortable cushions. Due to the small width and filigree frame, the 2-seater if perfect for smaller living areas as well as a seat in the hotel and lobby, where the design by Ole Wanscher exudes its charming colonial style. 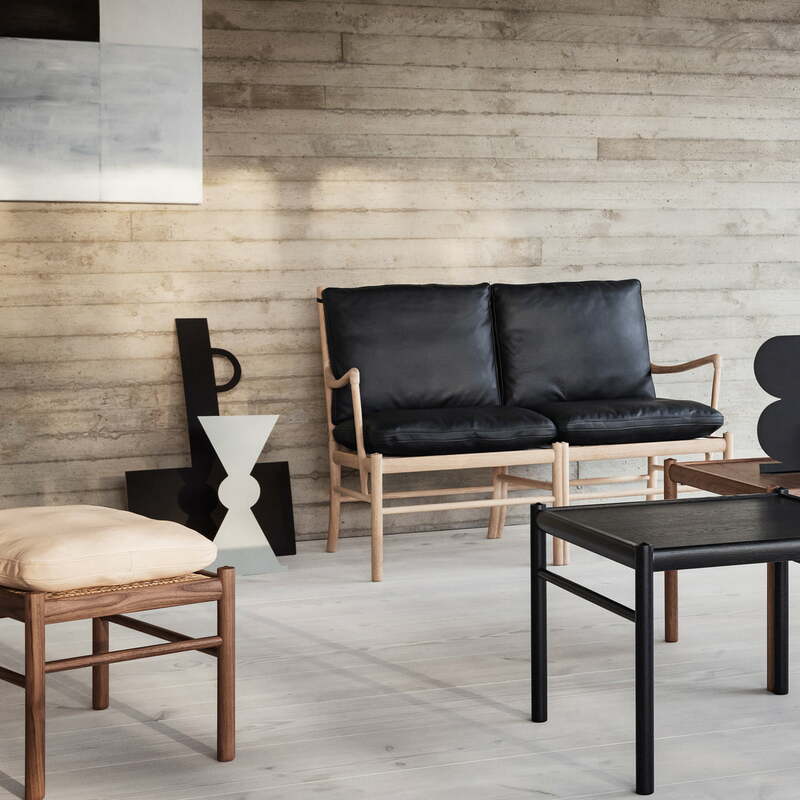 An overview of the Colonial Series with designs by Ole Wanscher. 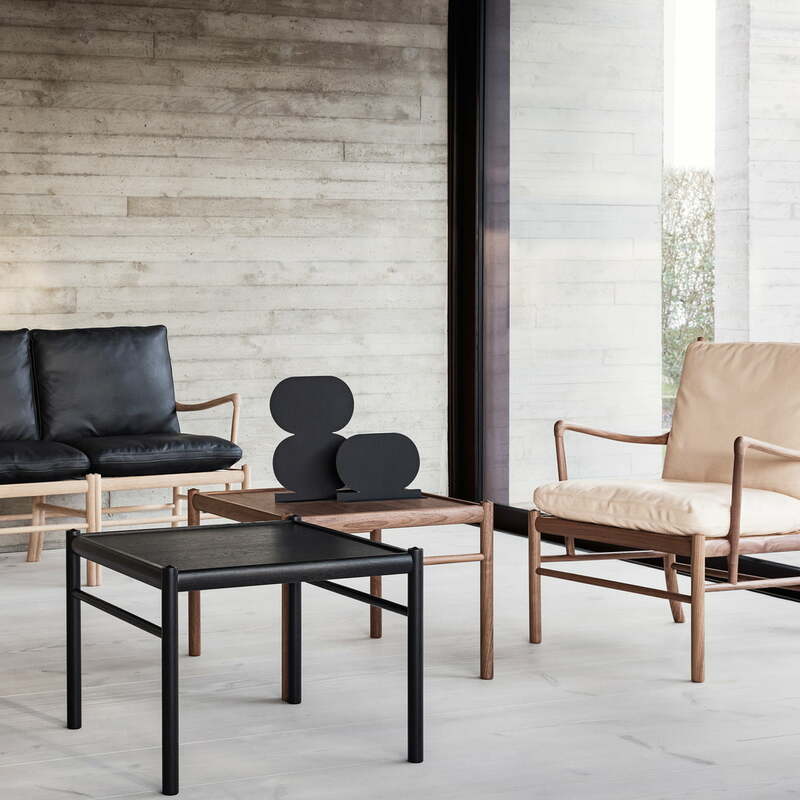 The furniture series by Carl Hansen focuses on natural materials and quality craftsmanship. A look behind the scenes, as well as information about the manufacturing process can be seen in this video. 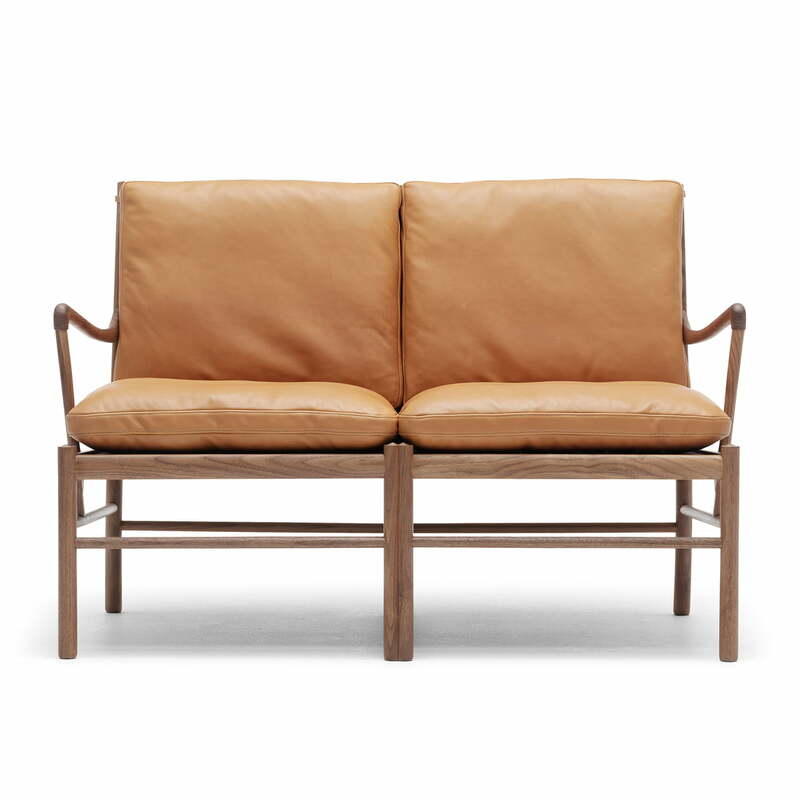 Individual image of the OW149-2 Colonial Sofa by Carl Hansen made from oiled oak and leather SIF 95. It is a 2-seater sofa, inspired by the English furniture design from the Colonial Era. 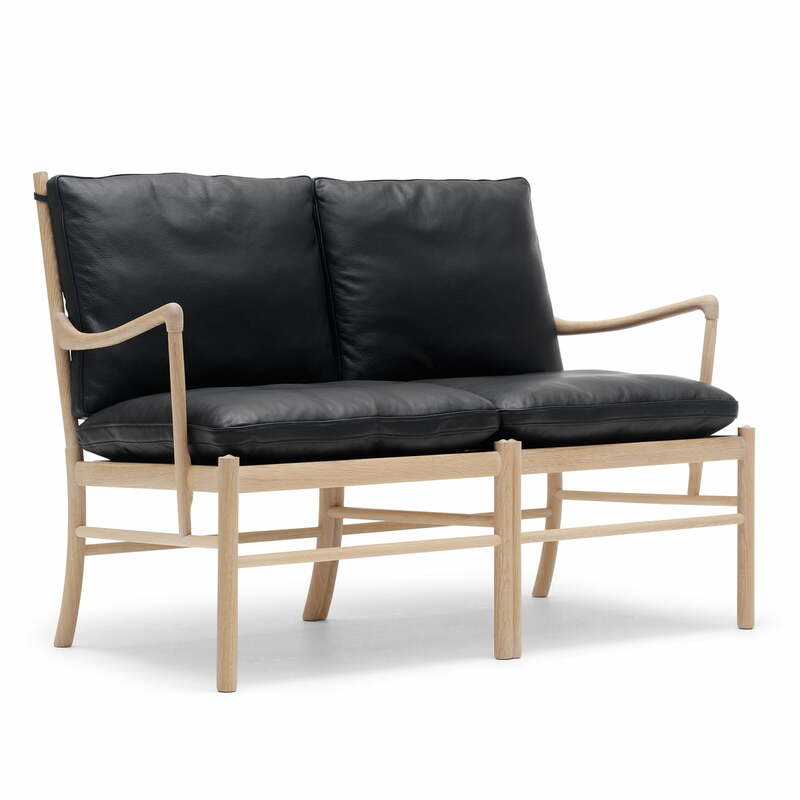 Individual image of the OW149-2 Colonial Sofa by Carl Hansen made from oiled oak and leather in black. The design for the Colonial Collection comes from Ole Wanscher. 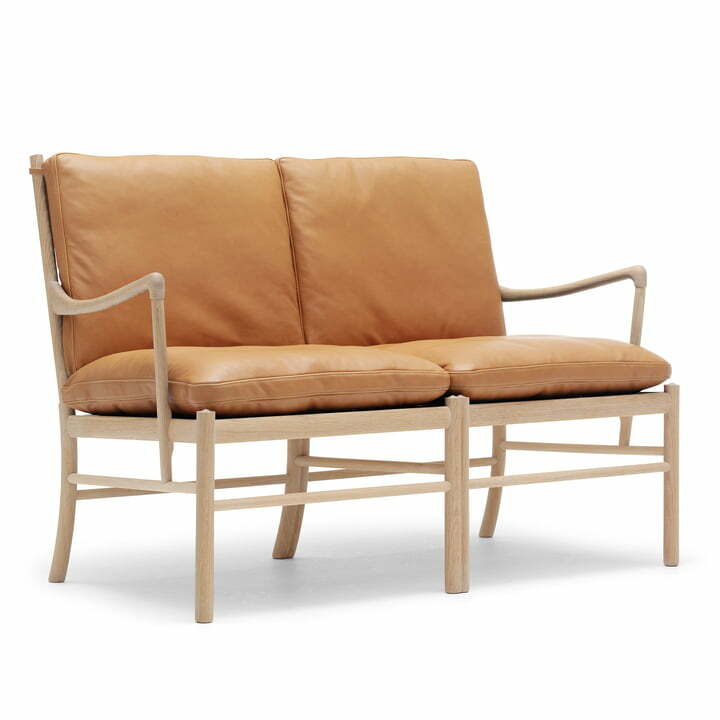 Front image of the OW149-2 Colonial Sofa by Carl Hansen made from oiled oak and leather SIF 95. The colonial sofa comes with free cushions on the seat and in the back. The colonial series reflects Wanscher's taste for a fine, delicate and noble line, which at that time was typical of the colonial period in England of the 18th century. The Colonial Sofa is part of the Colonial Collection, which includes the classic colonial chair and foot stool, as well as the corresponding side table. The series reflects Wanscher’s taste for a fine, delicate and noble lines, as also his fascination towards furniture design from England in the 18th century. and the lastest colonial times.